Merkel cell carcinoma (MCC) is an aggressive neuroendocrine skin cancer with a case fatality rate that is three times that of malignant melanoma. MCC is an uncommon cancer with an estimated 2,500 cases/year in the United States. The reported incidence is constantly increasing, and the health impact of MCC is growing rapidly with the proportional increase in the aging population. MCC is an aggressive cancer with prognosis dependent on the stage at presentation. The reported 5-year relative survival for patients with local, nodal and metastatic disease is 64%, 39% and 18%, respectively. For patients with distant metastatic disease not amendable to surgery or radiation, until recently systemic chemotherapy was the only treatment option beside best supportive care. The reported objective response rate (ORR) with either mono- or polychemotherapy regimens is high, in some reports up to 60%. However, these responses are usually short-lived, and the impact on survival is unclear and thought to be modest at best. Also, the chemotherapy regimens are associated with significant toxicity and may not be suitable for many patients with MCC who usually tend to be older with multiple comorbidities. Fortunately, rapid strides have recently been made in our understanding of the biology of MCC that have provided a strong rationale for investigation of immunotherapies in this aggressive disease. These initial investigations have been extremely fruitful leading to remarkable advances in therapies for metastatic MCC in a relatively short period of time. Epidemiologic data had long suggested a strong link between MCC and the immune system. The discovery of the Merkel cell polyomavirus (MCPyV) in 2008 provided the missing link between MCC and its strong association with the immune system. MCPyV is integrated into the MCC tumor cells in around 80% of the MCC tumors in the U.S. However, approximately 20% of MCC cases in the U.S. lack detectable tumor-associated MCPyV DNA or oncoproteins. Strikingly, the mutational burden of virus-negative MCC is even higher than that of melanoma and has a signature suggestive of ultraviolet (UV)-induced mutations. These genetic changes that accumulate over several decades likely lead to generation and expression of novel proteins and epitopes and subsequently, neoantigen-directed immune responses. These different pathways including viral antigens in MCPyV-positive tumors or UV-induced neoantigens in MCPyV-negative tumors provide mechanisms of immunogenicity in both these subsets and provide a strong rationale for using immunotherapy to treat MCC. These immunotherapy efforts have focused on a multitude of approaches. However, the most remarkable successes have been with the immune checkpoint inhibitors, which are discussed in detail below. PD-L1 is expressed on tumor and immune cells in both MCPyV-positive and MCPyV-negative Merkel cell carcinoma tumors, providing the rationale for investigating checkpoint inhibitors targeting PD-1 or PD-L1 in MCC. The presence of PD-1 and PD-L1 in the MCC TME reflects the result of chronic antigen presentation of processed viral proteins and UV-induced neoantigens. Consequently, anti–PD-1 and anti–PD-L1 antibodies have been investigated as first-line and as second-line or later therapy in patients with advanced-stage MCC. Pembrolizumab (Keytruda, Merck) is a humanized IgG4 anti–PD-1 monoclonal antibody and is being investigated for first-line systemic treatment of immunocompetent patients with advanced Merkel cell carcinoma in a phase 2 clinical trial (www.clinicaltrials.gov; NCT02267603). The first report of this trial included 25 evaluable patients with unresectable stage IIIB or stage IV MCC, out of whom 16% (n = 4) had a complete response and 40% (n = 10) had a partial response, resulting in an ORR of 56% (14/25). Although the ORR is not strikingly different from what would have been expected from front-line chemotherapy, the responses are remarkably more durable than those expected from chemotherapy. Twelve of the 14 confirmed responses (86%) were ongoing at last follow-up, with the median follow-up being close to 8 months. Response to pembrolizumab did not correlate significantly with PD-L1 expression, a biomarker that has been evaluated extensively in several trials of PD-1 pathway blockade. Importantly, responses were seen in both MCPyV-positive and MCPyV-negative tumors consistent with immunogenicity of both subtypes. Twenty-six patients were included in the safety analysis, and treatment was generally well-tolerated, with 77% (n = 20) of patients reporting an adverse event of any grade, of which 15% (n = 4) were grade 3 or 4. Adverse events were consistent with prior reports in other cancer types and were managed well through the discontinuation of pembrolizumab and, if necessary, glucocorticoid treatment. 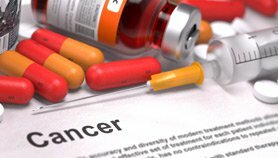 The results also led to the listing of pembrolizumab as a therapeutic option in the 2017 U.S. National Cancer Center Network (NCCN) guidelines. An expansion cohort of 24 patients was added to confirm these initial results, and the results on these 50 patients total are eagerly awaited. Concurrently with the above-mentioned study, another phase 2 study (NCT02155647) was investigating avelumab (Bavencio, EMD Serono) in immunocompetent patients with metastatic MCC who had previously received one or more lines of cytotoxic chemotherapy. Avelumab is a human IgG1 anti–PD-L1 monoclonal antibody that also has a wild-type IgG1 Fc region that may, in addition to blocking PD-1/PD-L1 interactions, activate natural killer cell–mediated antibody-dependent cell-mediated cytotoxicity. In this much larger pivotal phase 2 trial, 88 patients with chemotherapy-refractory distant metastatic (stage IV) disease were treated, out of whom 9% (n = 8) had a complete response and 23% (n = 20) had a partial response, resulting in an ORR of 32%. Responses were impressively durable, with the proportion of responses with a duration of at least 6 months being 92%. Similar to the pembrolizumab study, responses to avelumab occurred quickly (generally at the time of the first scan at 6 weeks) and occurred irrespective of PD-L1 expression or MCPyV status of the MCC tumors. Avelumab was well-tolerated, with 70% (n = 62) of patients reporting an adverse event, but only 5% (n = 4) were grade 3, and there were no grade 4 events. Only fatigue (n = 21, 24%) and infusion-related reaction (n = 15, 17%) occurred in more than 10% of patients. Based on the impressive results from this phase 2 study, avelumab received approval by the U.S. FDA, SwissMedic and the European Medical Association (EMA) in 2017 for treatment of metastatic MCC, regardless of prior chemotherapy administration. This trial has recently expanded to include MCC patients who are treatment-naïve to systemic therapy in the metastatic setting. Preliminary results of the first 39 patients enrolled in Part B were presented at the 2017 annual European Society of Medical Oncology meeting. At the time of the data cutoff, the ORR with first-line avelumab was 62%, with 14% of patients experiencing a complete response and 48% of patients experiencing a partial response. Sixty-seven percent of patients experienced a progression-free survival rate of 3 months. Yet another ongoing study (NCT02488759) is investigating nivolumab (Opdivo, Bristol-Myers Squibb), an anti–PD-1 antibody, in patients with virus-associated cancers including Merkel cell carcinoma. Patients with metastatic MCC are enrolled regardless of MCPyV status or prior chemotherapy. Preliminary results were presented at the 2017 American Association of Cancer Research Annual Meeting. Objective response rate in 22 enrolled patients was an impressive 64%. The majority (75%) of the responses occurred by about week 8. Responses were durable, with 75% of the responses ongoing at a median follow up time of about 12 months. Similar to the studies mentioned above, responses were noted regardless of the PD-L1 expression or MCPyV status. The trial is still ongoing and has added another cohort investigating the combination of nivolumab plus low-dose (1 mg/kg) ipilimumab (Yervoy, Bristol-Myers Squibb) in patients with metastatic Merkel cell carcinoma. This trial is also investigating the neoadjuvant use of nivolumab (two doses total) in locoregional MCC before surgery (+/- radiation therapy). The impressive and concordant results from these above-mentioned trials using three different drugs blocking the PD-1/PD-L1 interaction have offered powerful new options to clinicians for managing advanced Merkel cell carcinoma. All of these immune checkpoint inhibitors have been remarkably well-tolerated with low rates of grade 3 or higher treatment-related adverse events and no treatment-related deaths. The response rates are the best in treatment-naïve patients and appear to be lower in patients with prior chemotherapy exposure, likely because of the immune suppression associated with chemotherapy. The responses occur quickly and at a frequency similar to that expected with front-line chemotherapy, but are much more durable and can be assumed to lead to a meaningful improvement in overall survival with reasonably good quality of life and perhaps even a chance at “cure” for an otherwise terminal disease. Additionally, these studies suggest that in both MCPyV-positive and MCPyV-negative tumors, a large proportion of patients have MCC-specific T cells that can be reactivated to provide clinically beneficial antitumor activity. 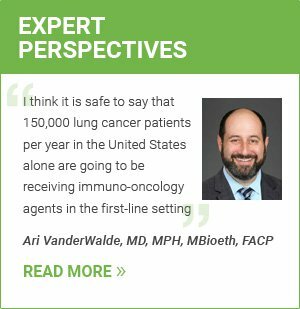 Taken together, these data suggest that PD-1/PD-L1 based immunotherapy should be considered as the new standard of care for first-line treatment for patients with metastatic Merkel cell carcinoma, regardless of MCPyV status, unless there are contraindications to using immune checkpoint inhibitors. This is reflected in the recent listing of avelumab, pembrolizumab and nivolumab as the preferred treatment options for metastatic MCC in the 2018 U.S. NCCN guidelines, although avelumab is currently the only FDA- and EMA- approved therapy for metastatic MCC. The durable responses to PD-1/PD-L1 blocking antibodies confirm the importance of immune mechanisms in MCC pathogenesis. However, not all patients respond to immunotherapy and some develop secondary resistance. In addition to finding predictive biomarkers, there is a dire unmet need for finding effective therapies in about 50% of immune-competent patients who do not respond to PD-1/PD-L1 blockade. Facilitated by the ongoing excitement for cancer immunotherapy, several trials of novel immunotherapeutic approaches (both innate and adaptive) are already ongoing in patients with advanced Merkel cell carcinoma. It is indeed an exciting time for investigation of novel targeted and/or immune therapies in this fascinating malignancy.